Mortgage rates have been on a steady rise recently, but buyers shouldn't panic -- rates are still very low. At the current interest rates, buyers will pay $21 more per month compared to a year ago, assuming a $241,000 price tag and 20% down payment. "I don't think anyone welcomes higher interest rates, but it should not be a considerable deterrent to someone who really wants to buy a home," said Keith Gumbinger, vice president of HSH.com. Rates under 5% have been the norm for a decade. "We still have quite a ways to go for rates to be even close to average," noted Len Kiefer, deputy chief economist for Freddie Mac. In 1996, the average rate was 5.67%, and in 1990 it was 10.13%. Rising home prices, fueled by strong demand and tight inventory, have pinched buyers in recent years. Lower interest rates helped temper that rise, but as they move higher, borrowing becomes more costly and can reduce a buyer's budget. "If rates remain at this level, some marginal buyers could be pushed out of the marketplace," said Gumbinger. "There could be less demand for properties on the margin, but I don't think there will be a huge change." Kiefer said he expects home prices to continue to rise in 2017 year, but at a slower pace than we saw this year. "The supply is pretty low compared to demand and that will keep pressure on prices and rents." The rate increases could be felt more by house hunters in the country's more expensive markets, like San Francisco and Manhattan. "Affordability is already difficult in some markets," said Erin Lantz, vice president of mortgages for Zillow. "Rates can have more of an impact in those areas, but for most of the country, it's still very affordable, by historical standards"
Mortgage loan applications dropped 4% last week, according to the Mortgage Bankers Association. Experts forecast rates will continue to gradually increase throughout 2017, particularly after the Federal Reserve increased a key interest rate on Wednesday for the second time in 10 years. 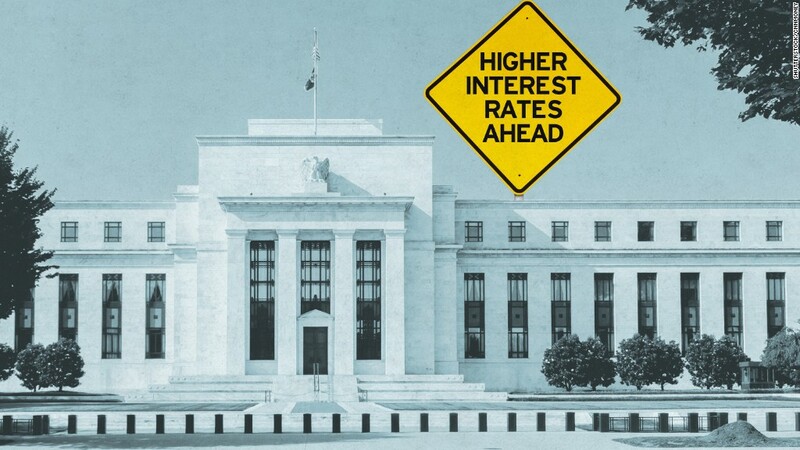 A higher Federal Funds rate makes it more expensive for banks to borrow money, which can lead to higher rates on credit cards and home loans. "The era of ultra-low interest rates is over," said Lawrence Yun, chief economist of the National Association of Realtors, in a statement Wednesday. "[The] short-term rate hike will be followed by several additional rounds of increases in 2017 and 2018. Despite these moves, mortgage rates will not rise alarmingly." The bond market also plays a role in mortgage rates. Interest rates on the U.S. government's 10-year Treasury note have been on a tear since Donald Trump was elected president. Treasury notes are a benchmark for many types of credit, including home loans. Other factors -- like global economic uncertainty -- also affect U.S. mortgage rates. "Global markets have sneezed and hiccupped and gone crazy at times and have driven down our interest rates," said Gumbinger. For instance, after the Brexit vote in June, the rate on a 30-year fixed rate mortgage dropped to 3.48% -- the lowest level since May 2013. As rates move higher, we could see the return of more home loan products, like adjustable rate mortgages. "Non-traditional mortgage products could start to creep back into the market as consumers search for more affordable options," said Lantz.